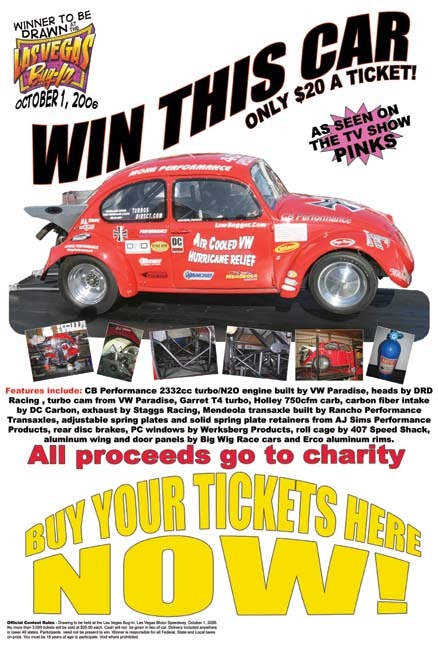 Ticket sales for the VW Drag Car have ended. Thanks to all that bought tickets! If you would like to get your tickets "over the counter" please contact one of these fine retailers. Ticket sales for the Hasport Honda have ended.